The village of Bannockburn is a small residential community with a rural feel. Having only about 1,500 residents, homes are set on large lots ranging from one-acre to five-acre sites and larger. Situated between great trees and beautiful landscapes, Bannockburn is noted for high-value properties, and impressive architectural designs. The village of Bannockburn is home to a very small school district, Bannockburn School District 106. This one-building school noted for its small class size and quality education, houses about 200 students in grades Kindergarten to 8th Grade. High school-aged students attend nearby Deerfield High School in Township High School District 113. The village of Bannockburn has a variety of shopping and dining throughout the town. Bannockburn Green is home to restaurants such as San Gabriel and Eggsperience and shops like Erehwon, Walgreens pharmacy and the newest addition, Heinen’s Grocery. The village of Bannockburn is located about four miles west of beautiful Lake Michigan and only thirty miles from the heart of downtown Chicago. Easy access to the Tri-State Tollway makes it simple to travel to and from Bannockburn. 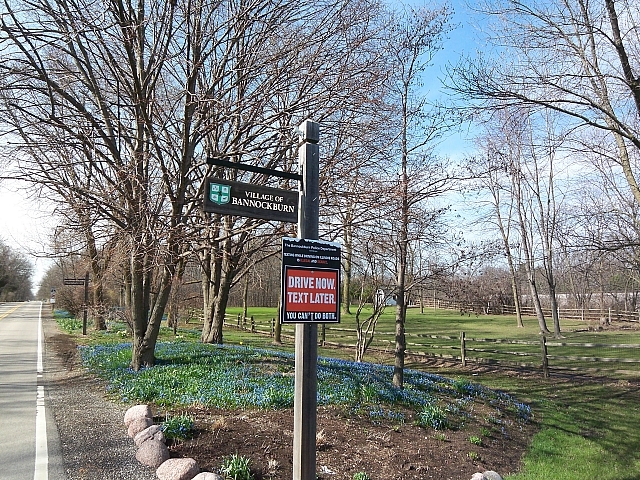 While there is no Metra station in Bannockburn, the Deerfield Metra Station is a convenient four-minute drive. Chicago’s largest airport, O’Hare International Airport which is only 18 miles away, can also be reached quickly from Bannockburn. The city of Bannockburn does not have a park district, but many residents use neighboring community’s park districts. The Deerfield Park District offers a variety of community centers available to residents and nonresidents. In the past decade, the Deerfield Park District has opened the Patty Turner Senior Center and the Sachs Recreation Center to its community members. Deerfield also has a public 18-hole golf course, two public pools, and 21 parks/field facilities. Ranging from forest preserves, nature paths, playgrounds, and sporting fields/courts, Deerfield is a lively community at any time of the year and welcomes Bannockburn residents to enjoy its nearby amenities. 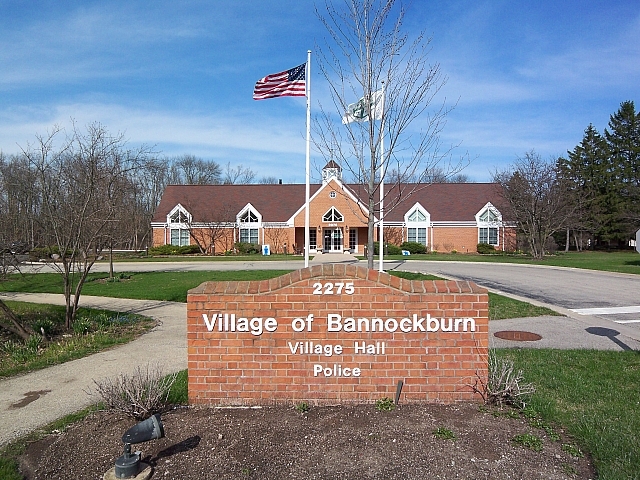 For additional information regarding the Village of Bannockburn, please visit the community website.